Breaking Bread — A loyal reader of TMS spotted the lovely Alaska Oil and Gas Association President / CEO Kara Moriarty having lunch with new DNR Commissioner Andy Mack at Jens’ in Midtown Anchorage last Friday. There are worse places to spend what was surely an interesting lunch. Out and About — Seen huddled in intense, coffee-fueled discussions at Black Cup Saturday afternoon were Independent candidate Jason Grenn and true blue Democrats Rep. Chris Tuck and Rep. Scott Kawasaki. 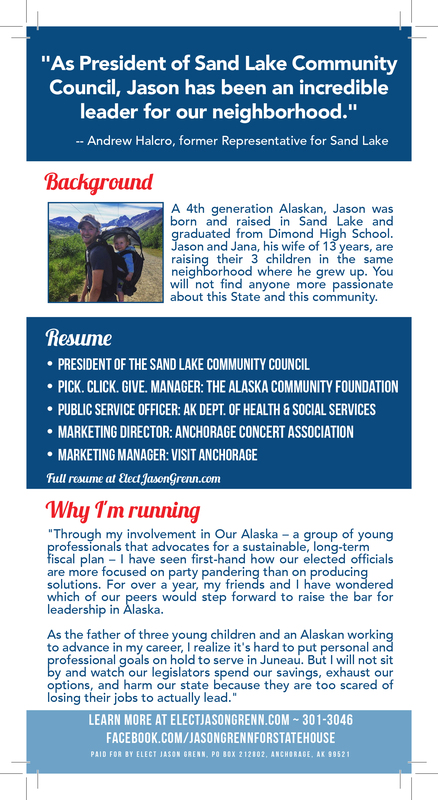 ICYMI — I’m not a fan of term limits, but Alaska Survey Research put the question to Alaskans. 75% of those polled said they support the idea. It would be more interesting if we had the numbers on the issue from before the last two regular and five special sessions. I’m guessing the numbers have gone up. 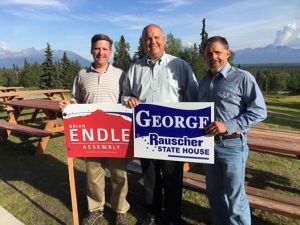 From The Slope — As a regular reader of TMS, you no doubt know of our disdain for candidates becoming obsessed with winning the yard sign war. There are rare times, however, when yard signs are instructive. Take the North Slope Democratic primary battle between Rep. Ben Nageak and Dean Westlake. I’m told from folks fresh off the plane from Barrow that the town is covered with Westlake signs. 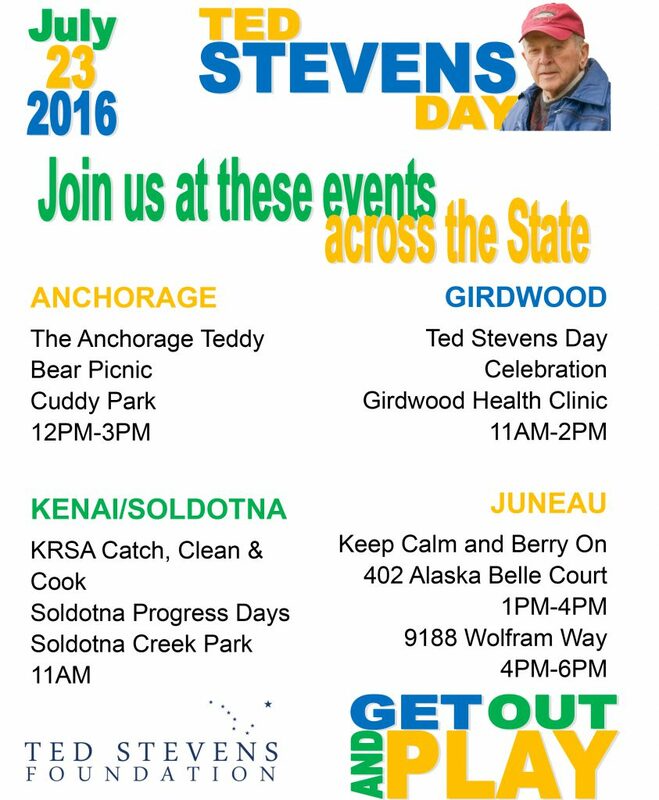 In fact, I’m told his signs outnumber Nageak signs at least 4-1. Westlake lost to Nageak by 6 points two years ago, but got less than 10% of the vote in Barrow. 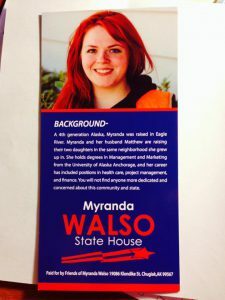 If he is anywhere near even with Nageak in Barrow this time around, Westlake will win easily. Double Duty — The Governor’s office is thin on communications people after the loosing Deputy Press Secretary Aileen Cole to the private sector and temporarily being without Press Secretary Katie Marquette due to maternity leave (Congrats Kaitie! ), so the Governor has called on Department of Corrections Spokesman Corey Allen-Young to pull double duty. He is still doing his DOE gig but will also serve as the Interim Press Secretary in the Governor’s Office for the time being. Ted Stevens Day Bummer — Many Ted Stevens fans, and I count myself among them, will remember that Senator Ted Stevens Day is rapidly approaching next Saturday. 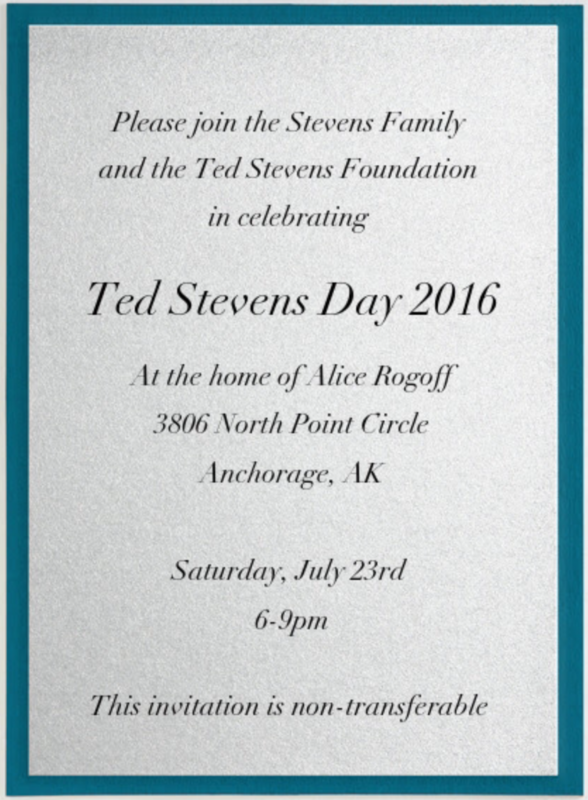 Unfortunately, the ladies at the Midnight Sun Republican Women’s Club (MSRWC) won’t be putting on their traditional Ted Stevens Day reception. I’m told Catherine and Lily Stevens weren’t able to make it this year so the MSRWC are working on doing a different event with them later in the year. Whose Line Is It Anyway? — Here are door hangers for Jason Grenn and Myranda Walso. Someone was looking at their classmate’s work. 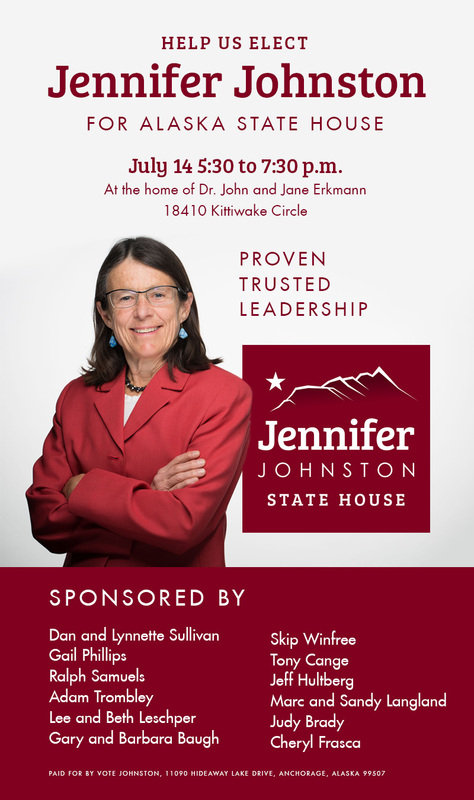 Well Done — This Delena Johnson radio spot has to be the best campaign ad I’ve heard so far this season. Kudos to Art Hackney and crew. 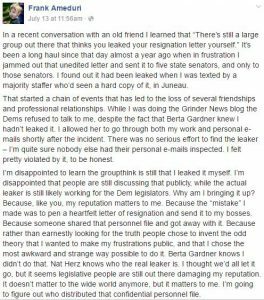 Ground Out — Former Democrat flack and “The Grinder” blogger Frank Ameduri doesn’t appear to be over his unceremonious departure from the Legislature following his penning a scathing letter to his bosses about all they were doing wrong, only to see it leaked to the media. In a new Facebook posting, Ameduri reveals he had his work and personal emails searched by his bosses as a result of the incident and goes on to say he is shocked to learn there are a large group of Democrats who believe he leaked the letter to the media himself. Ok, the first part is surprising and frankly a creepily invasive act on the part of Senate Dems. The second part is something everyone already knew. I’ve had plenty of insider Dems tell me they thought Ameduri did it himself. 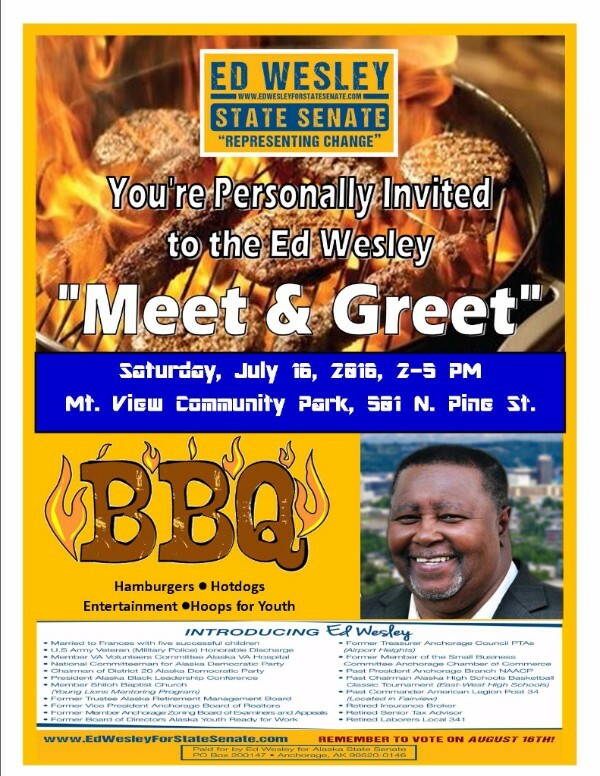 If it makes Frank feel better, though, I’ve had just as many point the finger at the machiavellian minded Sen. Johnny Ellis or Sen. Bill Wielechowski as possible culprits. For the record, my money is on a GOP staffer who got the letter leaked to them. 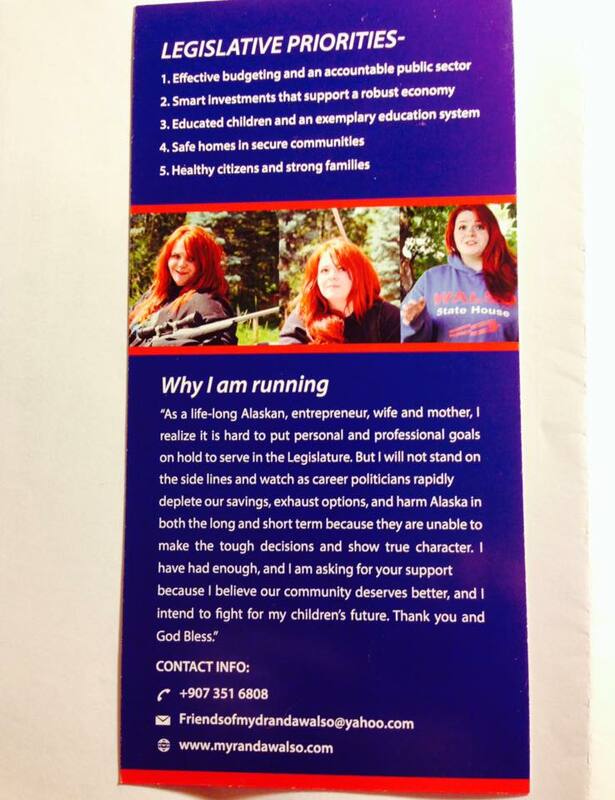 Juneau is so incestuous that way. 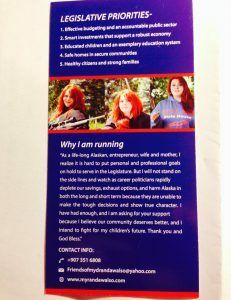 We Told You It Was Coming — Last week we told you District 22 Republican candidate David Nees was on the verge of filing an official complaint with the Alaska Republican Party over party leader’s decision to deny him access to party campaign resources because they have officially endorsed his primary competitor Rep. Liz Vazquez. Well, here it is. Leadership Races — I’m hearing Rep. Steve Thompson, Rep. Paul Seaton, and Rep. Bryce Edgmon are fighting hard for votes to be the next speaker of the house in a bipartisan majority caucus. Rep. Charisse Millett and Rep. Lance Pruitt are doing the same in case Republicans can pull off a GOP-led majority next January. 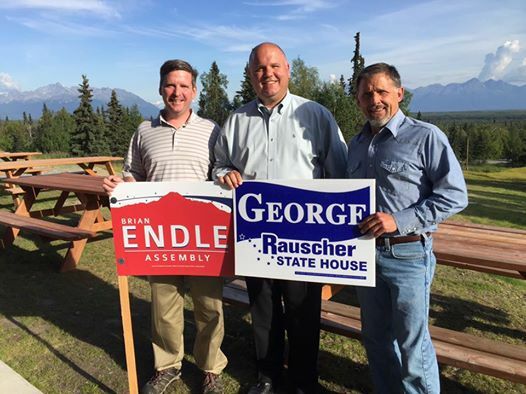 Going George — It sounds like Republicans looking to put incumbent Rep. Jim Colver’s hide on their wall had a good event for challenger George Rauscher in Palmer Wednesday night. 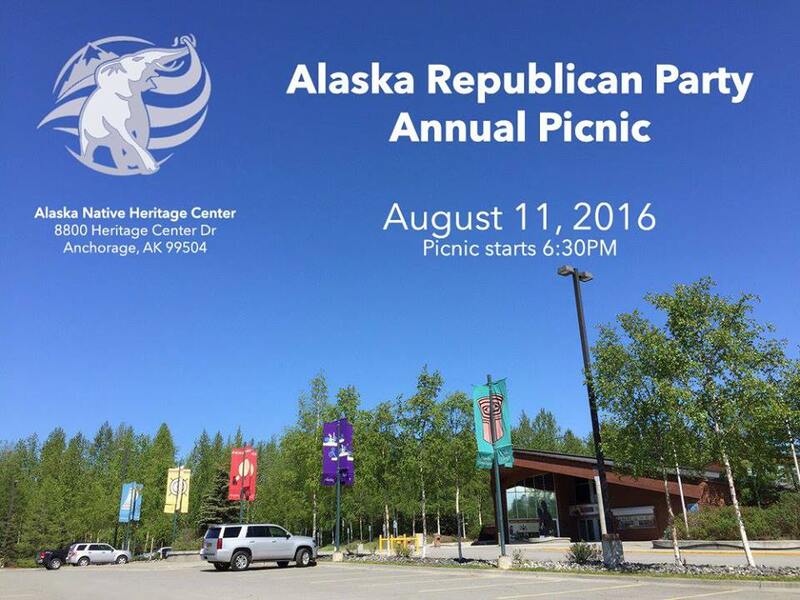 I’m told about 25 p eople came out including AK GOP Vice-Chairman Rick Whitbeck, former Mat-Su Borough Mayor Larry Devilbiss, Brian Endle, Carol Carmon, Janet and Ron Johnson, Shanon Conley, and John and Candy Miller. That isn’t the largest turnout in the world, but word is those who came were in a giving mood, raising about $7000 for Rauscher. Be the first to comment on "Friday in the Sun! (July 15)"